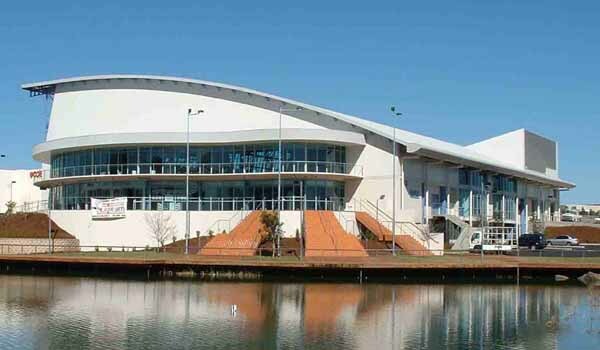 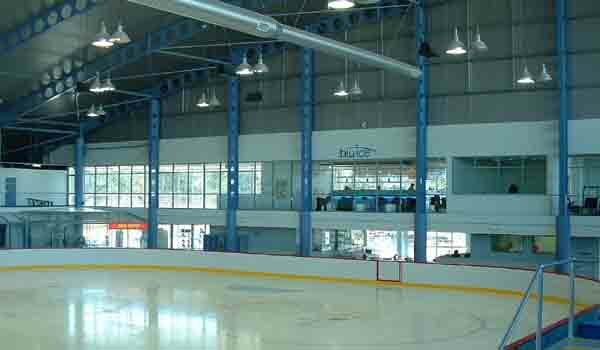 The Glaciarium Ice Skating Rink, Baulkham Hills. 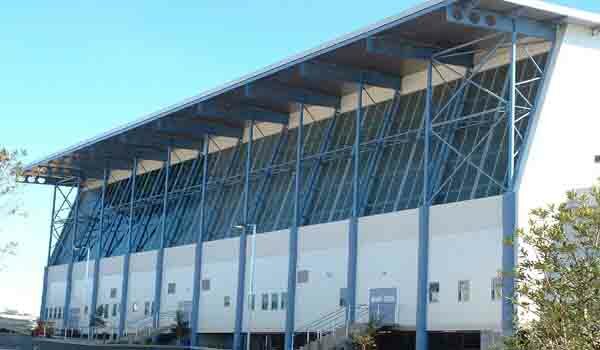 Eastern glazed curtainwall 9 meters X 60 meters, sloped at 15 degrees off vertical. 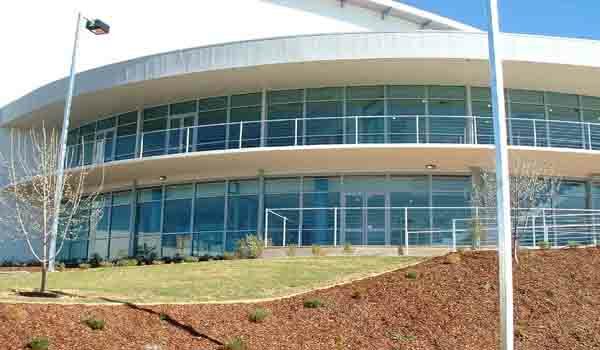 Commercial shopfront glazing in curved configuration to main entry, offices and cafe area. 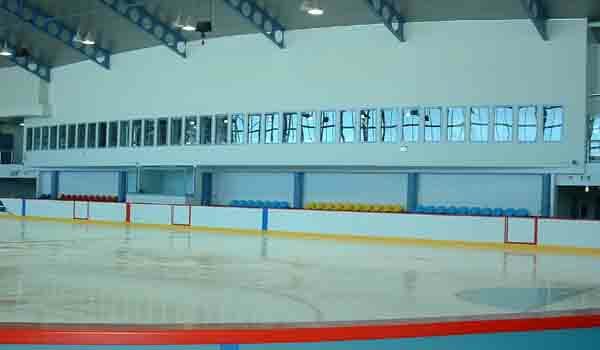 Semi-commercial fixed glazing to gymnasium overlooking the ice. 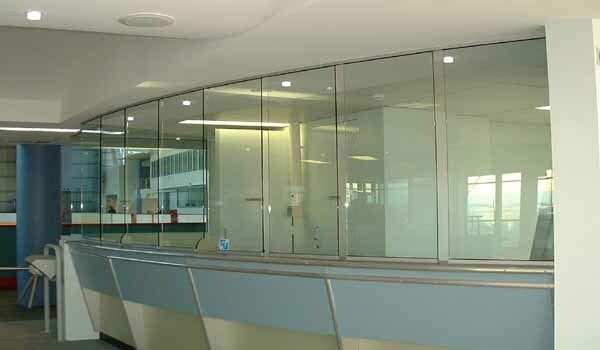 An internal view of the commercial glazing. 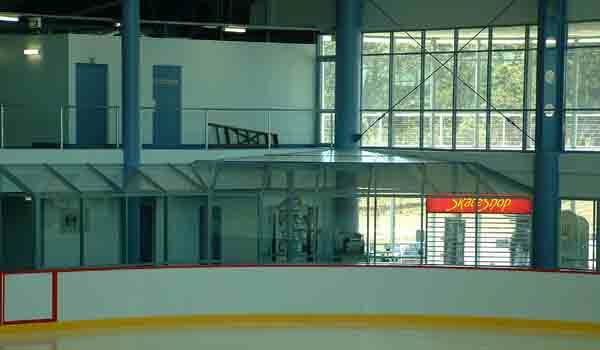 Closer view of the internal glazing and rooflite. 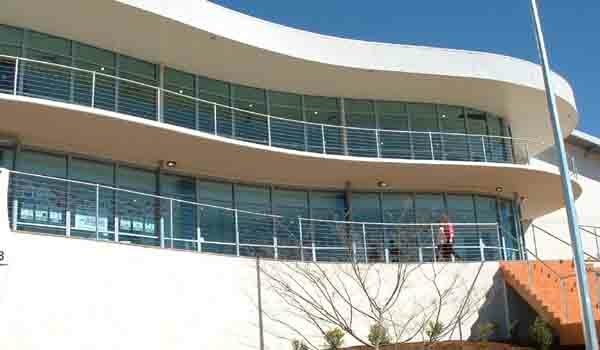 10mm Toughened security glass incorporating payholes to admission area.